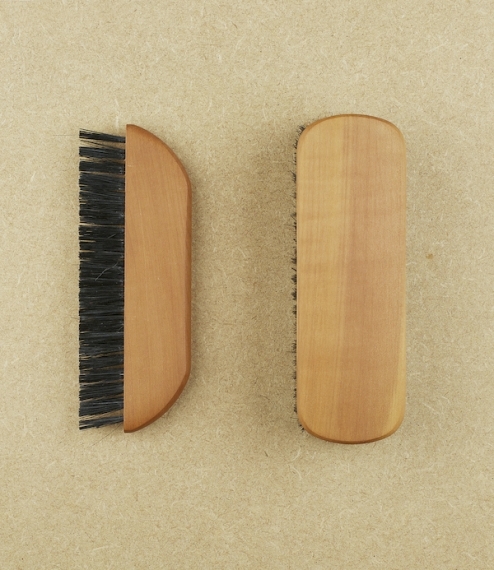 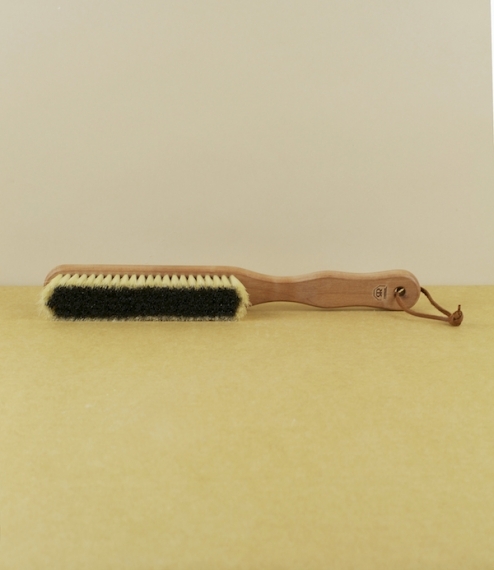 A longer handled medium hard black and white hog hair clothes brush with seven fine dense rows of bristle set into a waxed pear-wood stock. 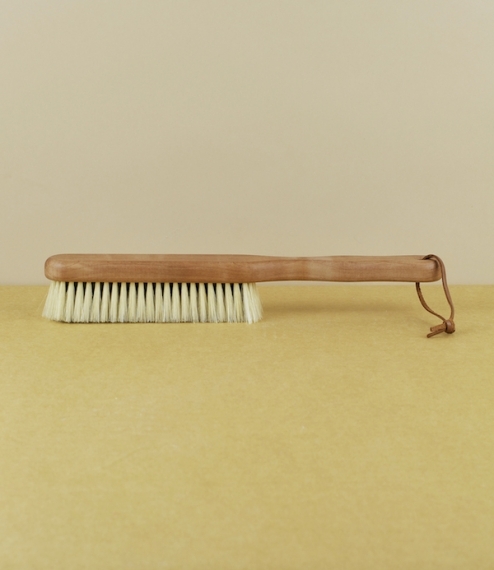 For the dusting and de-linting of cashmere, satins, and other fine textiles. 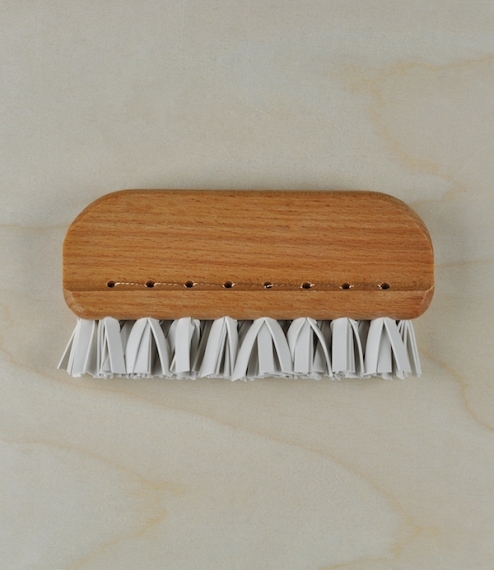 From the Redecker family workshop of traditional brush-makers in Germany. 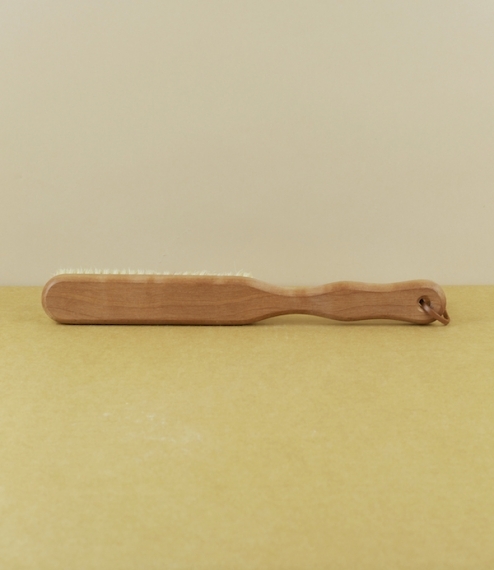 27cm x 3.5cm, with a brush area about 14cm in length.